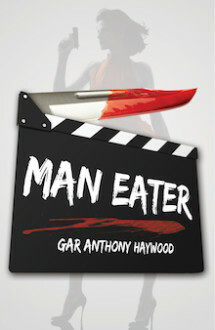 Shamus & Anthony Award winning author Gar Anthony Haywood’s brutally funny Hollywood thriller makes Get Shorty and The Player look like Disney movies. Ronnie Deal’s no hero. She’s just a drop-dead gorgeous Hollywood movie executive having a really bad day who’s in no mood to watch when homicidal thug Neon Polk puts a beat down on poor little Antsy Carruth at the Tiki Shack bar. Ronnie puts Polk’s lights out with a beer bottle, Antsy takes a powder, and Ronnie tries to forget the whole thing. But not Neon. Antsy stole twenty-five grand from Neon’s drug-dealing boss and Ronnie’s just cost him a big recovery fee, not to mention cut his pride to the quick. Neon not only gets revenge in spades, he wants Ronnie to pay him fifty grand as icing on the cake. What Neon doesn’t know is that people in The Business don’t call Ronnie “Raw Deal” for nothing. Ronnie’s got a completely different kind of payoff in mind for Neon now, and with the help of ex-con and aspiring screenwriter Ellis Langford—who’s got big troubles of his own in the form of two psychos named Jorge and Jaime Ayala—she’s about to learn how to make a real killing in Tinseltown. It all makes for one of the wildest, funniest, and chillingly authentic Hollywood crime stories ever told. When film studio exec Ronnie "Raw" Deal is terrorized by a drug dealer's enforcer, she drafts an ex-con-turned-screenwriter to craft a brutal Hollywood ending for her tormentors in this wildly funny, frighteningly authentic thriller.